With the development of techology, techology has entered into every field of our dialy life. In recent year, techology has show its power on our home, leading us to a smart home age. All kinds of smart home equipments have been invented for us such as Robot cleaners , Smart coffee machine, Air purifiers, Wireless Smart IP Camera and so on, which has played an important in our daily life. Therefore, it is time for us to become the owner of smart home. In the following, I will share three types of smart home system with you. Let’s enter the smart home. 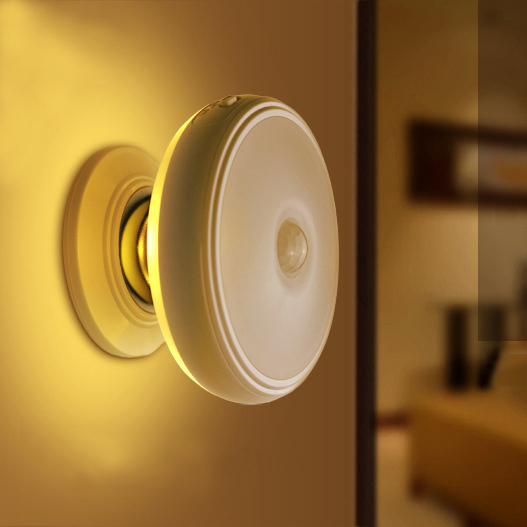 This body sensor light is specially designed with the sensor system and light controling system. It can turn on automatically and start to afford soft light in the darkness when the people, which can help you aovid the akward situation where you hit something when you find the switch to turn on the light at night. And you don’t need to worry about that your eyes are stimulated by the strong light, because it can adjust the light level according to the surrouding environement. Once the person leave, the light will turn off so it is also of environmental protection. In addition, it has 360°rotation so that it can light in any direction. And it can also used as a lamp with the light mode. 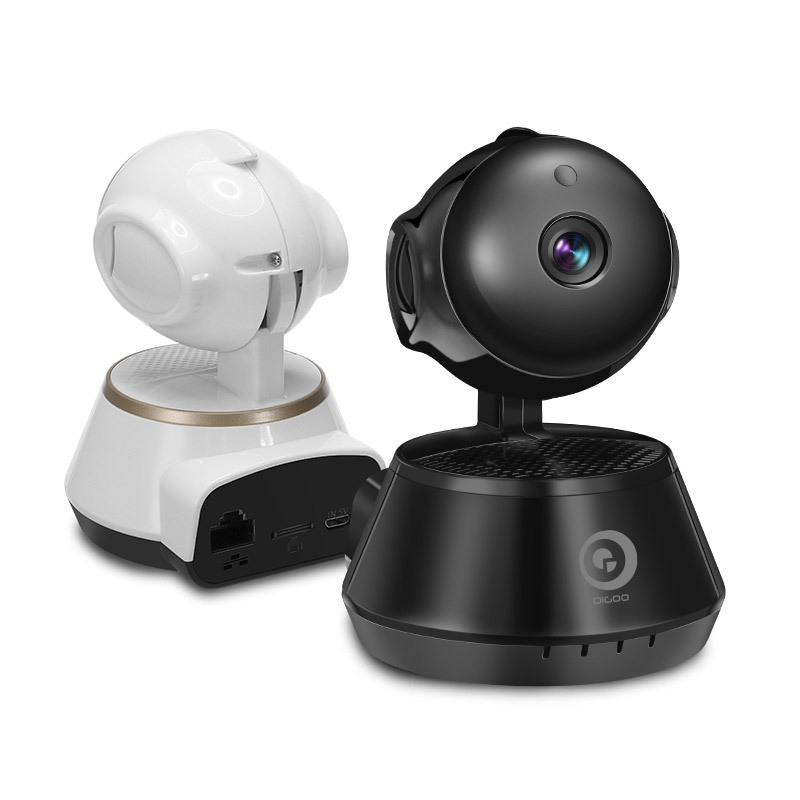 Wireless IP Camera Monitor is the best supervior of your home, which can provide a powerful and sensitive alarm that can protect your home from any thief. By using this equipment, you can watch the situation of your home and even the further area of your home even though you are far away your home. 10 inframe lights can make you watch you home even at night, providing you with the best night viewing experience. 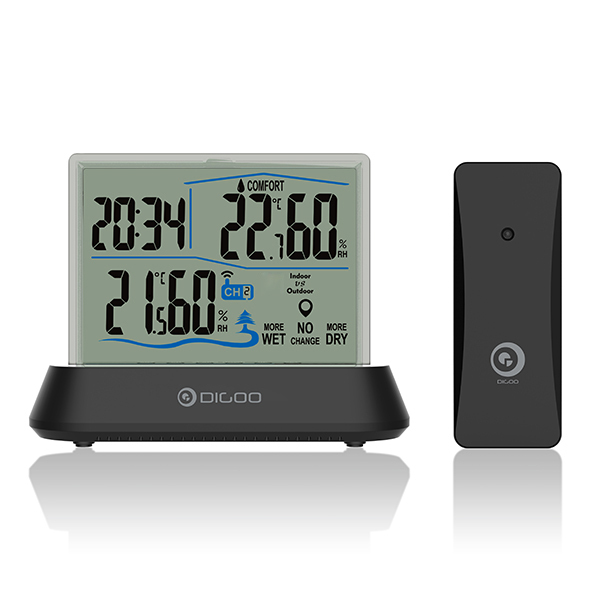 This equipment, apart from the currrent time display, can be able to record maximun and minum temperature and humidity , supervise the comfort level and ambient change index of you house as well as display the temperature and humidity of outdoor and indoor. So with this equipment, you can directly know whether you should open the window or close the window, providing you with a house with the condition most suitable for you to live in. Besides , its look is also creative because it is designed transparent LCD display, with the advantages of anti-scratch and clear display.